When I think of music and Portugal I usually think of the aggressive black/gothic metal hybrid that is Moonspell. Hard rock rock as an art form has fallen by the wayside to my ears lately, but it didn't take much from Evidence's "Truth From A Lie" to make me realize that bands on the European continent are still very much creating their own brand of melodic hard rock. Evidence's "Truth From A Lie" is definitely more of a radio-oriented hard rock album than I've heard in quite some time. Evidence play a Van Halen-esque, Extreme styled hard rock sound that doesn't forget that guitar virtuosity isn't a dirty word while not ignoring the fact that songs count, too. The music is fairly tight and never overplayed. Restraint is such a useful tool and it's a shame that more bands don't employ it. The vocals remind me of the sweet, arena-filling sound of Creed's vocalist (what is his name, anyway?) mixed in with a more bluesy style like Oni Logan-era Lynch Mob or Glenn Hughes. Overall, songs like post-Van Halen-esque "Thorns" and the superb vocals of "Never Too Late" are the best of the thirteen tracks on the CD. The other tracks run the gamut from up-tempo rockers to the never-out-of-style power ballad. The bottom line, however, is that "Truth From A Lie" is a consistent, if unspectacular, effort from beginning to end. While I admit Evidence's "Truth From A Lie" is quite good, it certainly won't be something that I'll be putting back in the CD player as I've tended to stick with more metal-based music these last couple of years. 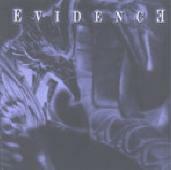 If you like TNT, Stan Bush and Barrage, Def Leppard, Millenium, or Flight 16 you'll be sure to like Evidence. "Truth From A Lie" was produced and mixed by Luis Barros. Evidence is Sergio Sabino on vocals, Vasco Martins on guitars, Pedro Antunes on bass, and Rui Lino on drums and percussion.